The talking point of the day was the rand which came under pressure following the events surrounding the Turkish lira. The Turkish government has implemented measures to control trading in the lira in an effort to plug the sell-off in the currency by investors looking to flea to safety ahead of the upcoming elections. The controls on the lira have resulted in some banks not being able to close positions in lira swaps which has sent panic across bondholders and other Turkish asset holders. The rand slumped along with other emerging market currencies as the contagion from the Turkish lira spread. The rand weakened to session low of R14.67/$ before it rebounded to trade 1.25% weaker at R14.60/$ at 17:00. Most of the rand sensitives on the JSE seemed to shrug off the developments in the rand as they traded mostly firmer despite the local currency trading softer. Nedbank [JSE:NED] gained 1.36% to close at R252.68, Standard Bank [JSE:SBK] managed to add 0.72% to close at R180.08, and FirstRand [JSE:FSR] closed 2% firmer at R62.07. RDI REIT [JSE:RPL] was one of the day’s biggest gainers after the stock climbed 10.96% to close at R27.85. Sugar producer Tongaat Hulett [JSE:TON] advanced 11.8% to close at R20.85, while packaging manufacturer Nampak [JSE:NPK] gained 1.95% to close at R12.04. Index giant Naspers [JSE:NPN] added 2.44% to end the day at R3298.49. Another tough trading session ensued for EOH Holdings [JSE:EOH] as it fell 11.57% to close at R11.24. RCL Foods [JSE:RCL] also struggled as it slumped 8.96% to close at R13.10, while KAP Industrial Holdings [JSE:KAP] lost 7.41% to close at R7.00. Fortress REIT [JSE:FFB] dropped 6.62% to close at R10.87, while Ascendis Health [JSE:ASC] recorded another session of losses as it closed at R3.80 after losing 5%. MTN Group [JSE:MTN] lost 4.97% to close at R86.00, Aspen Pharmacare [JSE:APN] weakened by 2.8% to close at R90.00, and Old Mutual [JSE:OML] shed 2.04% to close at R21.65. 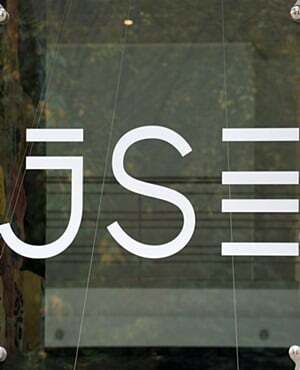 The local bourse traded mostly firmer on the day which saw the JSE All-Share index close 0.99% firmer, while the JSE Top-40 index gained 1.06%. Industrials gained 1.08%, Resources added 1.1% and the Financials index closed 0.86% higher. At 17:00, Palladium was up 0.37% to trade at $1549.34/oz, Platinum was 0.19% weaker at $857.29/oz, and Gold was 0.28% weaker at $1312.04/oz.